FELLOWSHIP is fundamentally a gift from God: it is a present fact and not a distant goal. Therefore the apostle John says: "If we walk in the light, as he is in the light, we have fellowship one with another", and this is not because we have become perfect, for he goes on to say: "and the blood of Jesus his Son cleanseth us from all sin" (1 John 1:7). This means that perfect fellowship already exists even among people whose imperfections are such that they need a continual cleansing from sin. This is the New testament starting point, the fact that fellowship among the saints already exists in its fullness. Such an assertion completely upsets our ideas. We cannot imagine perfect fellowship between imperfect people, so we tend to view fellowship not so much as an actual fact but rather as a possibility, exhorting one another to strive for oneness as though fellowship depended on our efforts instead of being a gift from above. In this way we make it difficult for ourselves and for others, since there is nothing more tiring than to strive continually for that which can never be achieved. Fellowship among the saints, however, lies on a higher plane, that of the gospel, and so it depends upon faith. Like all other spiritual realities, fellowship in its biblical sense can only be experienced by faith. It is a gift to be received and enjoyed, and not a goal to which we must always laboriously struggle, goaded on by the repetition of innumerable and tiring exhortations. It is an easy yoke and not a heavy burden. He who looks at fellowship with the eyes of faith finds that -- like all gifts which come from God -- it is perfect. His prompt reaction is to be grateful and he who is grateful does not make demands. He has received everything undeservedly, by grace, and is therefore fully prepared to serve and to give. Any faults he may find with fellowship do not cause him to complain or be dissatisfied, for they give him a fresh opportunity to serve. In this way he keeps himself and the fellowship in the pure atmosphere of faith. He speaks words of faith about fellowship; prays the prayer of faith about it; and retains faith's view of it. Since it is a part of the gospel, the heart of fellowship is living faith. We must fight to preserve such faith. This is not a mere matter of wishful thinking or blind optimism, but deals with that which is indeed the work of God. It often calls that which is not as though it were, for it speaks out from God and on the ground of His Word. On the other hand, if we look at fellowship without the eyes of faith, we see only that which is, and must remain, imperfect. Without faith we bring demands into fellowship, demands which can never be fulfilled and which spoil the very fellowship we are trying to achieve. As it is a fellowship of sinners saved by grace, all imperfect people, it must necessarily be a fellowship of worship, praise and gratitude. The inexplicable wonder of salvation, the incomprehensible extent of grace, the invaluable gift of eternal life fills us, and so we worship, praise and thank our God and Father, and the Lord Jesus, our Saviour. We have not chosen Him, but He has chosen us, so that we have under our feet the firm rock of the fact that our salvation does not rest on our will or purpose, but on His, and is therefore unshakable. Can we do other than join together in exultingly expressing our gratitude and praising His glorious Name? Looking into the future with the eyes of faith we see new heavens and a new earth, where righteousness reigns and we are a kingdom of priests with Him through all eternity. We almost faint at the sight. Can we do other than unite together in worship of Him who has obtained such blessings for us by His shed blood? In our hands each one of us has the Book from which light and life gush forth to meet us; we hear the very voice of God who speaks to us, reveals His thoughts to us and shows us His ways. We hear the most beautiful words that have ever been spoken; we meet the best men that has ever lived; we are set free and lifted above that which is trivial and second-rate into the great thoughts of God. How can we do other than blend our many voices in one [1/2] song of praise and worship, forgetting everything else and everyone else than Him, from whom all this wealth flows out to meet us? If we pray to Him, He hears us. It is so incomprehensibly great that it drives us together and keeps us together in a harmony of gratitude for marvellous benefits which seem to have neither beginning nor end. Grateful people show their gratitude (and long to do so) by devoted service to Him to whom they owe everything. Therefore we pardoned sinners unite in the work of intercession, the work of testifying, and the many other jobs necessary for the upbuilding of the church and the gathering in of the unsaved. Nothing makes fellowship more real to us than our uniting in service. It is sometimes called 'striving together', and this is what it feels like when difficulties arise. Then it is that fellowship is so important, holding on together, lifting up and carrying together, encouraging one another by all the time speaking words of faith in the Spirit of faith. What a privilege! If at times it does not feel like a privilege, this is due, among other things, to the fact that there is always a price to pay for fellowship and co-operation. In the heat of the battle we must never forget that as pardoned sinners we ought not to make demands on one another but to bear one another's burdens in gratitude and faith. In this fellowship of service we experience that it is better to accomplish something together than to spend time in endless theoretical discussions. Once we know in which direction to move we find it better to move along together in faith rather than wait for all the hindrances to disappear. In fellowship together we can find that God will open for us a way where there was no way, as our hearts are fused together in the furnace of faith. All this is really a fellowship that springs from the cross of Christ, changing us more and more into crossbearers as we walk in His steps. This means that we do not demand that others shall carry our burdens but rather that we hasten to their side to help to share in the loads which they have to carry. Their lot is ours. We do not live for ourselves. We serve one another. And we do this with joy, knowing that it is more blessed to give than to receive. The gospel fellowship is one in which no one fights for the place of prominence, no one finds joy or glory in being more than others. Those who are strong do not use their strength to stand up for their own rights but rather to assist the weak. Everyone looks not on his own things but on the things of others, being convinced that he who would save his life loses it, but he who loses it for Jesus' sake, saves it. The fellowship of the gospel is the power of God. If, however, fellowship is changed into a demand, then this brings in the law and the letter, and so becomes the power of sin. This is the danger, lurking just around the corner, to which many well-intentioned Christians have succumbed. So often it happens that those who are most eager for a New Testament fellowship have created something quite different, something which was only biblical outwardly (and often not even that) but inwardly produced slavery and fear. The danger arises in the very term 'New Testament church'. What is meant by this? If we read the many books written on the subject, or ask those who use the phrase, we usually find that in fact they mean the organisational. Some affirm that there must be elders before there can be a New Testament church; others that 'everything must be done in fellowship'; and again others affirm that the 'New Testament church' extends over the city council area; while yet others affirm that 'the gifts of the Spirit' must be in operation (though in fact they are only thinking of certain specific gifts). All this may be more or less correct but there is clear proof in experience that the mere following of these rules never produces the desired effect. More often than not it occurs because men move out of the sphere of faith and grace, crossing over the boundary into law and the letter, and falling into the error of self-effort. Men forget that New Testament fellowship is a consequence of God's goodness, and not a condition for it. In other words, true fellowship is a gift from God, free and undeserved, and certainly not a reward. To put it even more emphatically, those who reason that by creating 'a New Testament church' they will ensure showers of divine blessing, have become involved in legalism, and this can bring only misery. As if we could deserve God's blessings! As if we could buy streams of grace from God! Numberless Christians have landed in this predicament, and only the great mercy of God can get them out of it. How many have gathered together with the object of creating a 'New Testament church' with the expectation of producing something that would be spectacular, only to meet with disillusionment. 'New Testament fellowship' like everything else relating to the New Testament, is first and foremost evangelical, that is, an undeserved gift of God. Such a gift is fully complete, is possessed entirely by grace in Christ Jesus; we can have done nothing towards creating it and we can therefore never boast that it is ours more than others. Once this truth breaks in on us, fellowship becomes not a goal which we are trying to reach or a community which we are trying to build, but a wonderful reality which is experienced in ever fuller degree as we learn to know Christ better. So we appreciate that fellowship does not involve controlling one another. It does not mean giving up our personality. It is not an unhealthy intruding upon one another's private life, but is thoroughly healthy and holy. The fear of God is in control instead of the fear of man. Each individual may be himself as he is in Christ Jesus, and is so free that he can also allow others to be what they are in Him. Just as the law cannot help us to take one single step forward in our life and service for God, so it can do nothing to help develop our fellowship. Those who think that they can establish fellowships by their demands and rules and regulations and by books on New Testament churches, fail to realise that in so doing they are turning the heart and attention of God's children away from their Lord and Saviour to 'the Church' and therefore to themselves. When Christ is no longer alpha and omega, that is not just something but everything, things invariably go wrong. When the Church is presented as our gift to Him, instead of His gift to us, then we move away from spiritual reality. When, on the other hand, we look to Him, gather to Him , serve Him and concentrate on Him, then the gospel works as the power of God unto salvation, and the fellowship grows spontaneously, each individual's desire for works of faith being stimulated not by a sense of duty but because Christ is livingly present to him. In fellowship, as in every other matter, the gospel is the power of God but the law is the power of sin. So much depends upon the spirit in which we approach this idea of a New Testament church vision. We can only speak about it with a humble sense that it is really too great, too glorious, too overwhelming for us, something that we can never master or know all about. Surely nobody can read the Ephesian letter rightly without being affected in this way. In this letter Paul was the first to bring to light the divine purpose in which the Church has a central place in the thought of God from eternity to eternity. Out from the living sphere of eternity, the Church operates in the sphere of time and in the midst of the nations as God's leading thought for all the creation. In the Church God reveals Himself to the unseen realm of angels and demons, and when one day He discloses it to the seen world it will be as the kings and priests of creation, who throughout all eternity will govern with Him, being perfectly at one with Him and His will. Who can sense even a little of this, who can open his heart to such a conception, without falling on his face in an overwhelming consciousness of unworthiness, a humbling sense of coming far short of so tremendous a calling? Truly the Church is grace upon grace, founded wholly and completely upon God the Almighty, born in His heart before time was or any man began to give it a thought! With such a conception the Pauline exhortations to the Church are seen in their true evangelical perspective. They no longer convey the letter and the law but are Spirit and life. Now we understand the exhortations concerning the man and the woman, the young and old, and we willingly accept them in their creative and liberating power, as they 'put us in our place' in the great and [3/4] eternally valid Church setting. Paul was so gripped by this vision that he was willing "to fill up ... that which is lacking of the afflictions of Christ ... for his body's sake, which is the church" (Colossians 1:24). If by grace we can throw light upon the fullness of divine greatness involved in the Spirit-born fellowship of men in Christ, then they will realise that salvation is something far greater than what they usually hear preached, and that the Church is something far more glorious than they have understood. Then spiritual self-centredness and egoism must disappear even as selfish demands for fellowship must vanish as dew before the sun. So fellowship, in spite of all its shortcomings (and these were soon evident in the churches of the Acts), proclaims its message of good tidings to those outside, showing how men can live in true harmony in Christ. Men are seen as 'proper men' and women as 'proper women', every single individual thriving as true prosperity is found in the realisation of the Creator's and Redeemer's purpose for human life. The gospel creates true men and true women, true young people and old, and welds them together in a unity of life which carries them through easy and hard times and makes them an outpost of God's true world in the midst of the present civilization of lies and vanity. If this is not attractive, I do not know what is. If this is not worth giving everything for and everything to, then I do not know what can be. No Christian man or woman need be in doubt as to what he or she should devote every energy. No one need be ignorant of what he should seek first -- first! It is the gospel which puts things in their right place for us, making us see everything, large and small, in the divine perspective, so that we appreciate the central place which the Church occupies in God's wonderful and stirring plan of salvation. THIS chapter begins with the key Bible word 'therefore', which is to say that we are invited to look back before we look forward. The first three chapters of the letter are concerned with telling us the wonders of God's saving work in Christ. They look at this from two points of view, that the Father, in eternity, planned a work of salvation and that the Lord Jesus Christ at Calvary, in a certain datable event in history, brought God's plan to completion (chapter 1 verse 7). Jesus on the cross died in our place, discharged our debt before God, and settled the issue of God's wrath against us for all time and eternity. The Holy Spirit of God brought down into our experience that which the Father had planned in eternity and which the Son worked out on the cross. As we look at the section in Ephesians 4 we find that the first six verses deal with the present tense -- "There is ..."; that verse seven points back to the past, "... was the grace given ..."; and that verse thirteen points forward to the future, "till we all attain ...". It is clear, then, that we have here a comprehensive statement about Christians, dealing with our present, past and future, with one thought coming through which links those three tenses of our life together. That thought is expressed in the words "the body" -- "There is one body ..." (verse 4); "... unto the building up of the body ..." (verse 12); "from whom all the body ... the increase of the body ..." (verse 16). This, therefore, is the one single thought covering the whole sweep of Paul's statement of the present, past and future of the Christian -- the body of Christ. Do you see what this is saying to us? It is that God's primary objective in the death of Jesus was the creation of the Church. And our primary task is to see that this objective is realised here and now amongst us, because that is what Calvary was all about. So we have on one side of the 'therefore' of 4:1, the whole work of God in Christ culminating in resurrection power working in us, and on the other side of the word 'therefore', drawing the conclusion whether in past, present or future, the necessity of realising here and now what it means to be and to belong to the body of Christ. 1. We have been made to belong to each other. This fact that we have been made to belong to each other is the substance of the first six verses focusing on verse four, "There is one body". We who know the Lord Jesus as Saviour, we whom God has numbered among His elect, redeemed people, have been made to belong to each other in one body. This existing oneness of believers is here described as resting on the work of the whole Trinity. "There is one body and one Spirit, even as also ye were called in one hope of your calling" (verse 4). Here we are reminded that it is the gracious function of the Holy Spirit to take us out of darkness and death and to bring us into the body of Christ, so securing for us an eternal hope. "One Lord, one faith, one baptism" (verse 5). You see here how Paul is hammering home the idea that the Lord Jesus is responsible for the fact of how believers have been made one together by belonging to Him. Jesus Christ is Lord -- this is the cry, the common cry of faith. We are in His body effectively because by God's mercy we have been enabled to cry to Jesus for salvation. He has become the object of personal faith. We have said, 'Jesus, be my Saviour; deal with my sins, receive me, O Lord Jesus; I cast myself on You' and this one faith in the one Lord has made us part of the body. In the moment of baptism, the Lord Jesus has responded and He has exercised His baptismal claim upon us, incorporating us into the family name, the name of the Father and of the Son and of the Holy Spirit. "One God and Father of all, who is over all, and through all, and in all" (verse 6). Our loving heavenly Father has put us into the one body. Oh the grace of our Father God! The grace of providence -- He presides over all. The grace of management -- He works through everything, every person and every circumstance, with nothing outside of His control, beyond His reach or astray from His plan. The grace of indwelling -- He is in all. This is the existing oneness which we all have in Christ, and the call which Paul issues to us is to make real in experience this fact that we have been made to belong to each other. He beseeches us to walk worthily of this calling and to give diligence to keep this unity. We have it -- we must give diligence to keep it. Oh what a grievous thing it is when there is disunity amongst a company of God's people. It is no light thing when there is division and quarrelling between church members; it is no light thing when one falls out with another; it is a contradiction of what happened at Calvary. So it is that the apostle calls us to lowliness, meekness, longsuffering and loving forbearance. The first mark of a Christian -- so he tells us -- is a proper lowly estimate of himself. This is where we must all start. If there is a power that raised up Jesus from the dead and that raised up you and me, then let us lay hold upon that power first of all to bring us individually into the place of lowly meekness and so to preserve that blood-bought, precious unity which is ours in the one body. 2. We have been equipped to serve each other. We are told that "unto each one of us was the grace given, according to the measure of the gift of Christ ... and he gave some apostles; and some, prophets; and some, evangelists; and some, pastors and teachers; for the perfecting of the saints, unto the work of ministering, unto the [5/6] building up of the body of Christ ..." (vv.7-12). This is the essence of the whole work of Christ, of His coming down from heaven and His ascending back. We are reminded of His coming down to earth to suffer and die; of His being raised from the dead and of His being lifted back to heaven; of the whole of the redeeming work of Jesus; and told that out of all that has come a gifted people. Note, a gifted people and not just gifted persons, for such a term might mean that some were gifted and others ungifted. No, the proper expression is a gifted people, for to each one was given grace according to the measure of the gift of Christ. Some people have named gifts (apostles etc.) as has been clearly seen in the Church's past history and present life, but to all of us there has flowed from Calvary some selected gift bestowed personally on each one of us by the Lord Jesus Himself. Such gifts, given to each one of us, were intended for the common good, "... unto the building up of the body of Christ" (v.12). We have been equipped to serve each other. We get so used to the idea of some people being great church workers and others being great church passengers, that we need to get back to the idea of the body of Christ where every member is efficient. The body of Christ has the same perfection -- and should have in the local church -- as a fully working physical body. It can neither be added to nor subtracted from, if it is to retain its perfection. There was once an 'Any Questions' programme which included the enquiry, 'If you had a third eye, where would you like it to be located?' The more you think about that ridiculous question the more you realise not only that you wouldn't know where to put a third eye but that if you did put it somewhere, you would destroy an existing function. You have all done peculiarly awkward jobs in carpentry or in mechanics where it would have been of immense benefit to have had an eye at the end of your finger, so that you could see round a corner or inside a machine. But if you put an eye on the end of your finger, you would have to say goodbye to that member as a finger. You would never again be able to use it as a finger. There is perfection in the human body. There is also perfection in the body of Christ, for He Himself has blended it together by the gifts issued to each one as a result of His death and resurrection. What a need, therefore, that each one of us should not withhold that contribution that can be given by us and by nobody else. 3. We cannot grow without each other. Cannot, I say --cannot! Because of the individuality of our salvation (a precious truth, for we either come to Jesus as individuals or we do not come at all), we can so easily become spiritual Robinson Crusoes, each inhabiting a lonely desert island, each living in a vertical communion with God and wrongly thinking that this is all that matters. The Bible makes it clear that we cannot grow in isolation. The unity of the Spirit is to be in the bond of peace but we are told that "the fruit of righteousness is sown in peace for them that make peace' (James 3:18). This presupposes a fellowship situation in which each contributes peace to fellowship -- not problems, awkwardness or troublemaking but peace -- so that the fellowship becomes the growth situation for all. Paul envisages a similar situation when he says: "... till we all attain unto the unity of the faith, and of the knowledge of the Son of God, unto a full-grown man, unto the measure of the stature of the fullness of Christ". This fullness of the stature of Christ is the objective of all true Christians. We want to get to the point where the likeness of Jesus, the beauty of Jesus is seen in us. And the way forward is the way of faith and knowledge. We walk forward in the obedience of faith, proving Jesus in the circumstances of daily life, and so we advance in knowledge, as we feed on the Word of God. This is the way forward. But do you notice that it says "the unity of the faith and of the knowledge ..."? I do not question the importance of personal daily Bible reading and prayer in your obedience of faith with God. Not at all. But I do say that if that is an act of isolation, if it is not rooted in the fellowship of the body; if your private prayers are not homing on the church prayer meeting; if your private love for the Lord is not finding its proper focus around the Lord's Table and church fellowship; if your growth in the knowledge of Jesus is not coming into church fellowship where that knowledge is being communicated and enriched by the knowledge of others; then you will not grow spiritually. "But speaking truth in love, may grow up in all things into him ..." (verse 15). The word refers to more than speech and really involves the whole life and would be better rendered 'Acting out the truth'. It is by acting out the truth in love that you grow up into Christ. Moreover you are to grow out from Christ -- "... from whom all the body ...". The truth is that we [6/7] cannot grow without each other. How I wish that someone had told me this when I was struggling hard as a young Christian! Indeed I need to be kept reminded of it as I struggle hard as an older Christian. When I was a young Christian I was greatly beset by many temptations and sins, longing -- as we used to say in those days -- longing for victory. Nobody ever said to me, 'You will never grow unless you are rooted in the fellowship of church life', yet that is what the Bible clearly says. And it calls us to a greater commitment to the people of God in terms of vital fellowship. The greatest need that this world has is to see a society in which the problems of the world are already being solved. The Lord Jesus spoke of His people being salt and light, but He also spoke of them as "a city that set on a hill" which cannot be hid, a community in which it is clearly seen that the problems of the world are being solved. The men of this world cannot live together. They need the vision of a community which has solved the problem of harmonious fellowship and we are meant to show it to them. Why should the world listen to us if we go out and say that their divisions can be healed in Christ, if they look at us and find that divisions are not healed in groups of Christians? How dare we try to give them the answer in words if we cannot display it in Christian living? What the world needs is a testimony in any locality as to the reality of the Church described in Ephesians 4. Let us thank God for the reality of the body of Christ, and let us be wholly committed to its implications. The story of Elisha gives us an Old Testament illustration of the Church living and working in the power of resurrection. When the Lord took Elijah up to heaven, Elisha's connection with that ascension consisted of witnessing the event and having fulfilled in himself his request that he should receive a double portion of the spirit of Elijah. Thus it seems that Elijah is a type of the Lord Jesus ascending, with the Holy Spirit as a double portion of His Spirit coming upon His Church so fulfilling His own words: "... greater works than these shall ye do, because I go unto the Father". In the case of the Lord Jesus, the Church proceeded to continue His ministry on a larger scale than He had been able to accomplish in the days of His flesh. His own prayer had been that the baptism with which He had to been baptised might be accomplished so that He could scatter fire in the earth. When that baptism of the cross was fulfilled and He was translated to the glory, the fire was indeed scattered in the earth and so His desire began to be fulfilled in and through His Church. All this has its foreshadowing in the ministries of Elijah and Elisha, for Elisha's life gives ample evidences of the power of resurrection, as we shall see when we consider them. They make an impressive list, The Waters of Jericho, The Three Kings, The Widow's Oil, The Shunammite's Son, The Poisoned Pottage, Naaman the Leper, The Loose Axe Head, The Feeding of the Multitude, The Unseen Horsemen, The Arrows and Elisha's Death. It was not as though Elisha could see anything spiritual in his task; he was not one of the sons of the prophets preparing for his ministry. No suggestion whatever was made that he was to be a prophet. His was simple farm work, but he was doing it as unto the Lord and putting all his might into it. The Lord took account of this, for it was a vital consideration in preparing him for his call to spiritual service. The next point to observe is that Elisha's call involved the symbolic experience of having Elijah's mantle thrown upon him. It is clear that this conveyed something much deeper than the outward act, and that from that moment he became a prisoner to the call of God. He burned his bridges and left no way back. He did not argue that it would be better to keep the oxen alive in case things went wrong and he found his new sphere distasteful so that he would need to return to his old life. No, God had touched him and apprehended him, so things could never be the same again for him. It is interesting that nothing more is said about Elisha from that day until the day when Elijah finished his ministry and was ready to hand over to him. A veil is drawn over that preparatory period until the time came for this prepared servant of God to begin his ministry of new life. This beginning is described for us in 2 Kings 2:1-15. This beginning involved three factors. THE first of these was Elisha's test of faith and perseverance after he had received his divine call. It is noticeable that Elijah seemed almost to be trying to shake off Elisha by his constantly reiterated request, "Tarry here, I pray thee", but Elisha's only response to his urging was to reply that nothing would induce him to leave his master. For their part, the sons of the prophets in every place they visited, hinted that it would be unwise for him to go on, since Elijah was to be taken away "from his head" that day. To such repeated discouragements he replied that although he was fully aware of this fact it made no difference to his determination to go right on to the end with Elijah. His master was the one who held the secret of what he needed for life and ministry, and he could no more abandon him than the twelve could leave Christ when He put to them the question: "Will ye also go away?" Peter answered for them all when he confessed that their only hope of eternal life was to keep close to their Lord, and in a similar way Elisha refused to be got rid of or discouraged because he knew that Elijah was the only one who had what he needed for his future ministry. This test of faith and endurance was not only part of Elisha's preparation, but it is what must happen to all true instruments of the Lord. Can you be discouraged? Can you be shaken off? Can your faith easily give up? If so you are of little use for such a calling. There are those who are called to be instruments to testify of the power of His resurrection, and such will meet with every kind of natural discouragement. They must begin straight away by proving that they will not allow themselves to be deterred by anything or anybody. It is very nice for those who have a call to find encouragement on every hand, to have divine confirmation and support from others; but they must be ready to persist even if the Lord gives no conspicuous providential helps, so hiding Himself that He seems rather to discourage than otherwise; then faith must press on resolutely in spite of everything. This is what the Lord is really looking for. There will never be lacking those who offer the reverse of inspiration, and tend to stress all the difficulties and possible calamities which appear to lie ahead. The sons of the prophets were right about Elijah, but their inference that Elisha should refrain from continuing was absolutely wrong. The record simply states that "they two went on". The question for us all is, Will we go on with God? Elisha went on. He had passed that test. ANOTHER lesson which Elisha had to learn was that although he was a man of energy who used all the natural strength he had in his work, his spiritual power came from on high. What has been said about his diligence and wholeheartedness does not contradict this. Elisha still had to learn that only the power of the Spirit would provide strength for his task. In a sense this is true of all Christian work, but it is certain that if there is to be any full testimony to the power of His resurrection, it can only be in those who have learned that they have no strength in themselves but depend for everything on Him who is above. Elisha shows in type what we must all learn in ever-deepening ways, which is that only the Spirit of Him who has gone up to the right hand of God in glory is sufficient for what lies before us. He is the source of our life, the [8/9] spring of our energies; we live because He lives; we work by the energy given to us from His throne on high. THIRDLY, Elisha had to come to the place where all his beginnings were at Jordan. The last step of his journey with Elijah and the first step of his journey under the Spirit was in Jordan. He went over with Elijah in death; he came back through Jordan in the power of resurrection life. The fifty sons of the prophets were watching and, as they saw him come back across Jordan, they said "The spirit of Elijah doth rest on Elisha". His beginnings, as it were his roots, were in Jordan. This reminds us that there has to be a rooting in the cross of the Lord Jesus Christ. Life must be based on an experimental knowledge of the death of that cross and the resurrection which followed. Into the life of God's instrument must come an experience which registers once and for all that this life -- in its good features as well as in its bad -- has been brought to an end. Even in Christian activities and religious interests, it is recognized that nothing is possible except in the power of His resurrection. This must be more than a matter of doctrine or mental acceptance; it must be a governing principle in every phase of service to the Lord, that life and strength are only to be found by drawing on Christ's resurrection power. To have this settled in a definite transaction of faith involves a Jordan experience. This is a deep death, a deep sinking into Jordan, but it makes possible a wonderful testimony to His risen life. It opens the door to the vast, ever-growing knowledge of Him in terms of resurrection life. Calvary closes the door on the old man but it opens the door to the new man, the one who is ready for everything to be out not from himself but from God. Elisha's whole ministry was born in Jordan, and this typifies for us the need to come to an end of our own resources and sufficiency, so that we may have a new beginning which will be an ever-unfolding experience and demonstration of the power of resurrection working in and through us, The testimony to that resurrection can never be in words only, but must be in a personal proving of Christ's resurrection power. We must accept union with Him in His cross so that this may provide a basis for us to be vessels of His risen life. We read in Numbers 13 the sad story of how the Israelites refused to go forward at God's command. The spies returned from their expedition with ample proofs of the promised blessings, but they also added: "Nevertheless the people be strong that dwell in the land, and the cities are walled, and very great: and moreover we saw the children of Anak there" (verse 28). This majority section of the spies seem to me to be so typical of the Church today and of the average evangelical Christian. Their basic fault was that they were negative thinkers; they saw the problems, the difficulties and the giants so clearly that, although they could also see the blessings, they immediately forgot all about them. It is so common for Christians always to concentrate on the difficulties and the reasons why a thing cannot be done. If ever you want to launch out and attempt what is even slightly different from what is expected of a good evangelical, you are bombarded with reasons why it should not be done and with stories of those who have tried it and failed. This negative approach is one of the greatest weaknesses of the Church today. Our subtle evangelical conservatism has little to do with the vibrant, out-going faith which we read about in the Bible. Yet we must admit that wherever we open the Bible, we read about men and women who dared for God and took risks with Him. Hebrews 11 mentions some of them, men who really ventured out on seemingly crazy activities as they obeyed God. There was Noah, for instance, building his ridiculous boat in an area where it had never even rained before. There was Abraham, who was prepared to offer his only son on the altar. These and other thrilling episodes in the Scriptures, are regarded as most suitable subjects for flannelgraphs to be used in Sunday School lessons, but their implications are never allowed to penetrate our hearts or inspire our actions. I feel that our whole general mood and tone, our life style, in this twentieth century, is out of [9/10] step with the Word of God. The ten spies, because of their negative attitude, caused the Lord great displeasure; and indeed the whole people so grieved Him that He cast them aside, at one sweep. I must say that to me God appears to be more merciful to us in this century than He was to them, though we are no better than they. Indeed, if I may put it so, His long-suffering is tested not only by sinners but by His saints. How greatly is His patience tried by those of us who claim to believe it all, who sing and talk about it all, and who yet do not act. We profess to believe the most dynamic, revolutionary truths, but we fail to incorporate this faith into our daily lives. THE other two spies, Joshua and Caleb, were quite different. God greatly honoured these two men who altered the whole trend of history. "And Caleb stilled the people before Moses, and said, Let us go up at once, and possess it; for we are well able to overcome it" (verse 30). This is the kind of man God is looking for today; one who sees all the problems and difficulties, and yet insists on going up at once and taking possession. We must ask ourselves quite seriously, What are we possessing for Jesus Christ in these days? What definite, specific areas are we taking possession of in His name? This is not a matter of hazy ideas or mystic feelings, but of actual values for God. What are we possessing for Him? What is our goal this year? Or even this week? I find that all too many Christians have no goal at all, but seem to have settled into a permanent rut. They go on and on, with the same things week after week; they don't grow, they don't change. They have a set pattern of life which they will never break, and what is more they argue that this is the proper way to go on. If we read the Bible, marking every verse which describes something unusual, something which varies from the world's status quo, something even slightly different from what we would expect, we cannot but be impressed by the number of incredible things which happened among God's people in other times. I ask myself, how can reading of this Bible have produced the kind of evangelicalism which we see among Christians today? But has it? Is it not rather a fact that we have moved far away from the basic life style of the Bible, and adapted what is convenient of it to fit into our own particular ways, so that it seems to support our ideas rather than God's? We are in danger of trying to make God adapt Himself to us and make Him fit into our life style. Caleb urged, "Let us go up at once". I meet so many young people who spiritually never move, but are stuck fast. They vaguely imagine that they are going somewhere, but in fact they are sinking deeper and deeper into a familiar rut. The pressure of life insists on so many 'musts', that by the time these have been attended to, their life style has become static and unalterable. Yet after all there are many people in the world who take risks without having any faith in God, while Christians, who ought to have a dynamic faith, are content with mere words, empty words which cloak their non-risk type of living. WHEN we of Operation Mobilisation announced that we felt that God would have us own a ship, even our friends were stunned. Negative advice and opinions poured in from every possible direction, and we were told that Christians just don't do such things. Well, by God's mercy, we now have the ship, 'Logos', and it has already done a great work for Christ. Already 42 ports have been visited in various parts of the world, and so overwhelming has been the response to this witness that we feel that if nothing more were accomplished than the work already done, it will all have been abundantly worthwhile. Recently in Indonesia we have encountered an enormous interest, and in the course of five weeks we were able to sell 75,000 Christian books. Many of the people, especially in some of the less populated islands, had never before seen an Indonesian Christian book. As for the Scriptures, again and again we completely sold out all that we had and were obliged to send enquirers away empty-handed. At one pastors' conference we had 400 pastors come to learn more of the Word of God. We are kept constantly praising God for the safe journeyings of the ship and for the amazing opportunities for the gospel which it is giving us. God's call is for us to launch out, but His people find it so difficult to break away from their natural style of life. Why, many young people cannot even get out of bed on time, and as for quiet times, well they tend to shrivel until they are virtually non-existent. If God tells them to do anything different from the usual, they do not move and -- what is worse -- they sometimes invent theological arguments to excuse themselves for a life which is totally out of line with the whole emphasis of the Scriptures. In addition to Caleb, there was Joshua. He was a little more of a deeper life man, and he said: [10/11] "If the Lord delight in us, then he will bring us into this land, and give it us" (Numbers 14:8). He and Caleb were two men who refused to drift with the crowd. It is very easy to do this. I never cease to be amazed at the lack of initiative among God's people. There are so many things -- even though they be little things -- which we could do for the Lord Jesus. 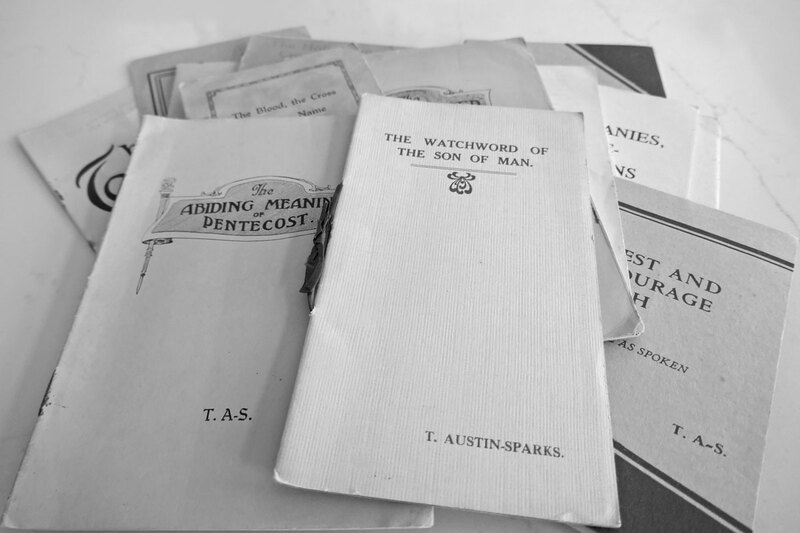 By means of our prayer letters we appealed to Christian people all over the country to send us evangelical books which they had no further use for, so that we could pass them on to deprived and appreciative readers. We suggested that they might have on their shelves books which had been untouched for many years, and that these could be put into circulation for Christ. What happened? Hardly anything! People who have probably had books lying idle for twenty-five years did not have the initiative or consecration to pack them up and send them to us. I am afraid that the books may lie where they are for another twenty-five years unless, of course, some town planning scheme forces them to start moving house, and then they will begin to wonder if there is anything that they can give away to the Lord's people. THERE are so many things that we could do for the Lord if we would cast off our negative thinking and become positive and fresh. How stale spiritually can we get? Nobody thinks of using stale bread for communion. If any church made use of some stale old crusts for the Lord's Table there would doubtless be a number of major complaints at the end of the meeting. Yet our lives are stale, and we think nothing of offering our stale setness to the service of the Lord. The Lord Jesus began His instruction of His disciples by commanding them to launch out into the deep. Peter's immediate reply was: Master, we have toiled all the night, and have taken nothing ..." (Luke 5:5). Here again was a negative approach. It was based on the failure of the previous night. 'We caught nothing' then so why try again? One great reason why people do not step out in faith and take risks for God is that they are too conscious of their past failures. The proper reaction to past failures should be to use them as challenges to try again, but the much more common reaction is to give up trying. We feel that we cannot move forward as we are afraid of making another mistake. The real reason is probably that we are afraid of what others will say about us. Men of the world put us to shame in this respect. They venture, not caring what others may think, whereas we put so much store by the praise of our fellow Christians that we are terrified to launch out because of what some brother -- or sister -- may say. We must learn to confess failure and then forget it. Faith can use failure as a springboard to new endeavour. It must have been a shock for Peter to find that his heavy catch was breaking the net (verse 6). He must have wondered whether it was to be another fiasco. Well, sometimes things do not work out as we expected, but Romans 8:28 makes it quite plain that for the believer there can be no such thing as utter failure, so faith need never fear. The antidote to negative thinking is to "launch out into the deep". For every one of us God has some new step of faith, however small, and we cannot grow spiritually unless we take it. We shall find that He is only seeking to stretch our capacity, and each small act of obedience will lead us on into an ever-growing appreciation of His sufficiency. WE finished the first study of this series with a comment about the Spirit-given ability by which the tabernacle was made. We now resume this consideration as we take up again the matter of the high priest's garments which were partly dealt with in Study No. 4. God's command was: "And thou shalt speak unto all that are wise-hearted, whom I have filled with the spirit of wisdom, that they may make Aaron's garments to consecrate him, that he may minister unto me in the priest's office" (Exodus 28:3). Bezalel, who was the chief of all the workers, was described as having been "filled with the Spirit of God ..." (Exodus 31:3), and we notice that the first time in which the Bible employs the phrase about being filled with the Spirit has to do with this same Spirit of wisdom, which was the motive force of all the workers. The first thing said about these people is that they were those who were willing-hearted (Exodus 25:2). This was how the materials [11/12] were assembled and donated, it was by those who were willing-hearted. Now we are told that these people were filled with the Spirit of wisdom. So willing people became wise people, willing-hearted women became wise-hearted women, those who put their hearts into the work of spinning and stitching (Exodus 35:22-26). They did not spend their time picking and pulling things to pieces. Any foolish person, in the power of the flesh, can do that. How much better to be made wise by the Spirit to spin and stitch, in order to put beautiful garments on to God's people, and to contribute to true worship to Him. This willingness of heart is the beginning of all worship. It is not all of it, by any means, but it is the essential for beginning, and if we are really willing to do God's will, then He has promised to make us wise and perceptive. So worship will grow richer as the Spirit imparts more of the Lord Jesus to our hearts. The Old Testament character, Bezalel, who was filled with the Spirit, had divine wisdom to express something of the beauty of the things of Christ. It is always true that a Spirit-filled man makes much of the Lord Jesus. Moreover he conveys something of the Lord's presence as well as understanding something of His mind, for this is true wisdom. A man may convey something of the mind of the Lord even if he is himself at a distance, but it is impossible for him to communicate that indefinable presence of the Lord without nearness to Him by a life in the Spirit. The clothing of the high priest speaks to us not of ideas only, but of vital spiritual realities. WE pass now to the robe of the ephod (Exodus 28:31). This was a robe of one piece of material, with just a hole in the top and embroidery round the hole to prevent fraying. The Gospels tell us that the Lord Jesus had just such a robe, with no seams, so that at the cross the soldiers played dice for the garment. In the case of the high priest this robe of the ephod was blue. No material is specified but the emphasis was on the colour. It had to be blue. Our great High Priest is wrapped around with blue, with a garment of blue colour or blue light, which presumably indicates that His whole life was perfectly heavenly. This is the life which He wants to communicate to us, so that as we are in Christ we are clothed in His blue garment. All believers are involved in this heavenly life of Christ, which has as one of its chief features the fact that it has no seams. It cannot be divided, it cannot be split up into parts. It is a complete contradiction for Christians to fight one another, and there is no need for them to do so, for it is always possible to maintain the unity of the Spirit, the blue robe always being available, if we will only appropriate it and put it on. Those who contradict the reality of the body of Christ and live in the flesh are bound to experience the dividing work of the flesh. It is impossible to divide and make a schism in the body as we walk in the Spirit, but this can always be done in the flesh. So as we invest the Lord Jesus with His seamless garment of blue, thanking Him for it, we shall find that we are putting it on our own selves, and enjoying His heavenly harmony. "Put ye on the Lord Jesus Christ" (Romans 13:14). ON the skirts of the garment there were alternate pomegranates and bells (Exodus 28:33) which were symbols of both fruitfulness and testimony. Presumably not only would the bells ring but they would also clang against the pomegranates, so adding to the sound as the high priest moved around. As a town crier rang his bell [12/13] before making his announcement, so the high priest's movements made a declaration to all within earshot. The pomegranates were fruits packed full of seeds, and so apt symbols of a fruitful life and ministry. When the oil was poured on the head of the high priest it ran right down to these pomegranates and bells on the hem of his robe (Psalm 133:2). It is an interesting fact that the word used for 'skirts' in this verse is really the normal word for 'mouths' which seems to accentuate this idea of speaking out the testimony. The Spirit's anointing on our risen Head flows right down to the least of us, right down to earth level, and results in a testimony which is to be both heard and seen, the bells and the pomegranates. In our talk and in our walk of fruitful living, a testimony to Christ should go out into all the world. Peter declared that the fact of Christ's exaltation and anointing was to be found in what the people could see and hear. Wherever the Lord moves we should be like His garment, speaking and living the testimony of the bells and pomegranates, so that the world may be made aware of His priestly work for sinners. WE have the further instructions: "And thou shalt make a plate of pure gold, and grave upon it, like the engravings of a signet, HOLINESS TO THE LORD. And thou shalt put it on a blue lace, that it may be upon the mitre; upon the forefront of the mitre it shall be. And it shall be upon Aaron's forehead, that Aaron may bear the iniquity of the holy things, which the children of Israel shall hallow in all their holy gifts; and it shall be always upon his forehead, that they may be accepted before the Lord" (Exodus 28:36-38). So, as Aaron carried on his head this golden plate with the words "Holiness to the Lord" written on it, we are told that he was concerned with the sins of which the children of Israel were guilty, even in their holy things. Thus the weight of their sins in the matter of holiness were borne, but it was balanced by the weight of holiness on his head. The holiness of Christ is the measure in which He has borne our sins, yes, even the sins which are associated with our function as priests. These are not just the sins which we committed before we became Christians; not just the flagrant disobedience of our corrupt natures; but the sins which mar even our most holy moments, the pride which creeps into our worship, our testimony, our preaching. There are elements of flattery which can ensnare others and which are really meant to make something of us. There are the little hints of self-esteem or deception which we would hate to be brought out into the light. Yes, they are all noted, and they all have to be borne. Thank God that they are all dealt with effectively by His golden holiness. This holiness is infinite: it is total and complete. If there is any question of measuring His holiness, then we are convinced that it is unique and without limits. This, then, is the same standard by which He has borne the iniquity of our holy things. The measure of His holiness is the measure of His bearing our sin -- it is infinite. As the plate of gold was beautiful in the high priest's forehead, so to us the crown of thorns on the Saviour's head is that which draws out our great heart worship. The thorns were a mark of the curse, they show how utterly He bore the weight of our iniquity; but to us they are also the mark of His infinite holiness and separation unto the will of God. The crown of thorns which marked the brow of Jesus are to the worshipping hearts of sanctified Christians, the pure gold of His utter holiness. God accepts His consecration and separation in the place of our deficiency. THE background of the high priest's clothing was pure white. "And thou shalt embroider the coat of fine linen, and thou shalt make the mitre of fine linen ..." (Exodus 28:39). Underlying all the glories of the Lord Jesus Christ is the fact that He was utterly and completely right. He was righteous. He was perfect. This is why He could be holy and set apart for God. This is why He could discern God's mind -- the Urim and the Thummim. This is why He could bring about the will of God in the order of the people -- the breastplate. This is why He could carry the new birth of many -- the shoulder-pieces. It was all because underneath everything else there was the righteousness of God -- the fine linen. We worship Christ by clothing Him with all these divine beauties and colours, and fundamentally by clothing Him with the fine, white linen. As we do so we shall find more and more that these virtues are imparted to us. God's spiritual man, exemplified by Bezalel, is noted for the beauty of his workmanship. "And I have filled him with the Spirit of God, in wisdom and in understanding, and in knowledge and in all manner of workmanship, to devise cunning works ..." (Exodus 31:3-4). God evidently takes pleasure in craftsmanship and makes His Spirit's presence evident in even the most practical tasks. Take the men who were chosen to handle the [13/14] money for the widows, they had to be "full of the Holy Spirit" as well as "men of honest report" (Acts 6:3). It took the fullness of the Spirit to make them fit to handle the Lord's money. We see by Bezalel how practical it is to be a man full of the Holy Spirit. His name means 'the shadow of God' which is most suitable, for the willing and wise-hearted workers are those who are careful to abide under the shadow of the Almighty. To be under God's shadow means to keep near to Him; it means to be free from self-advertisement under His cover; and it also means to enjoy His protection. May God help us to live under that shadow and to go on learning and experiencing more and more of Christ, proving His power and sharing His glory. OUR papers, our magazines and our television programmes are all telling us about the 'Jesus cult'. In a general, secular sense it seems that something of a legend is developing, so that Jesus is included with other heroes of the past, Hereward the Wake, Robin Hood, King Arthur, whose stories are turned into serials and films. They are regarded as men who did good and right things in the past, and so their stories are suitable for serials, providing material that nobody really believes but what is pleasant enough and not likely to do anybody any harm. In Luke 24 we read of two disciples who came across a Third, who knew nothing about local events. 'Are you the only one', they said to Him, 'who has not heard of Jesus of Nazareth?' To them, of course, He was a hero figure. They had lived with Him and knew quite a bit about Him, but it seems that they shared something in common with those who look back to legends of the past, that now it was all over. Jesus of Nazareth had been a prophet, but now He was dead and the episode was finished. It is helpful to notice what they had to say about Him, "A prophet mighty in deed and word before God and all the people." This was the verdict they gave on the one who now seemed lost to them, and their priorities are interesting. Notice: 'deed' first and 'word' after. I think that I would have said, 'word and deed' for words come first. It is easier to say what we are going to do than to do it. They were impressed with the actual deeds of Jesus. They had seen Him confronted by death, and they had seen Him triumph over it. They had seen Him face disease, difficulty, trials, testings and in each one of these situations they realised that He was "mighty in deed". The deeds were first because they were apparent and they were what counted. And yet, it was not only the deeds, but the words too. He had something to say to people. By His words He was able to make people feel that they could share in His experiences and in the power which He had. His words were consistent with His deeds, and were a source of comfort and strength. They saw, too, that both His deeds and His words were before God first of all, and then before men ... "Before God and all the people." As they lived closely to Him they realised that, as far as He was concerned, the first thing was to walk before God. It is necessary to live before God if we are going to live consistently before men, because at times we shall find ourselves in situations where there will be no men present, no men affecting us, and we will be tempted to lower our standards. It is, of course, comparatively easy to live before men, to work hard and to be cheerful with fellow workers or fellow Christians at our side. It is not so easy to be conscientious and doing the right thing when there is nobody to watch or to know, and that is the time when we are tested as to whether we are living before God or just for others to see. The Bible has some interesting things to say about people who lived before God even with no one else to observe them. David, looking after the family sheep, was not prepared to let the wild animals destroy them, but was prepared to do something about it and fight these beasts, even though nobody watched. Eventually he had his great moment before men when he fought and killed Goliath, but first of all he had learned to live before God. To him, of course, it was supremely important in any case that he should do the thing which God wanted him to do, but it was by doing it in God's sight first that he was prepared to play his part before men. Gideon too, in his threshing of the wheat, was hidden in his work and had nobody there to see him, but he was doing what he felt the situation needed, as before God. Later he, too, had his moment, with [14/15] one of the most spectacular victories on record, so that the public saw what God had known all the time. WELL, it was about 'Jesus of Nazareth' that the men on the road to Emmaus were thinking and talking. He had lived such a tremendous life, but now He had died and would soon become a legend. The title was not a particularly imposing one but if we consider the twenty odd times in which it is used in the Bible we may discover a spiritually important truth. We find it being used by the crowds and by unbelieving individuals, by unclean spirits, by those who went to arrest the Lord in the garden and on the superscription above His cross. The girl who interrogated Peter used it, saying that she had seen him with Jesus of Nazareth which, of course, he denied. One false witness at the trial of Stephen accused him of making certain claims for 'Jesus of Nazareth'; and, as we have seen, the two despairing men on the Emmaus road referred to the Lord in this way. So far, we are chiefly impressed by the poor quality of those concerned, though we must now consider two occasions on which the apostle Peter made use of this title. The first was in his preaching on the day of Pentecost. We read, in Matthew 16:16, that Peter was the man to whom Christ had entrusted the keys of the kingdom, and we are impressed to find that the occasion was when Peter first realised that Christ was the Son of the living God. He did not then say 'Jesus of Nazareth', like everybody else, for the Father had revealed to him that Christ was the one who had been anointed by God for the particular purpose of redeeming the human race. This realization that he was not just dealing with Jesus of Nazareth whom they thought they knew, but with the anointed of God, was so significant that it brought to him the privilege of having the keys of the kingdom of heaven. This leaves no room for the popular idea of Peter standing and opening heaven's door, since he would not need keys for such a purpose but be available inside to open it. No, the keys were entrusted to him so that he could open the kingdom to others, and he could only do this when he had realised that Jesus of Nazareth was much more than the one who lived a good life in Galilee and was in fact the Son of the living God. When you have such a revelation of the Lord Jesus, then you are in a position to open the door to others. On that first Whitsun, when the Holy Spirit came and demonstrated that God was with them in such a way that people gathered to see what was happening and heard men speaking and worshipping God in their own different languages, then it was obvious that heaven had come down to them and God was at work. Clearly, then, somebody had to explain to them what was going on and how they could have a share in it, which was why Peter preached his important sermon. After giving passages from the Old Testament, he said, "Ye men of Israel, hear these words: Jesus of Nazareth, a man approved of God unto you by mighty works and wonders and signs, which God did by him in the midst of you, even as ye yourselves know ...", going on to say that they had crucified Him but God had raised Him up. So he began with the phrase, 'Jesus of Nazareth', saying, in effect, 'You all knew Jesus of Nazareth; well, there is something much more to Him than that, for He is the Son of God, crucified by you but raised from the dead by the Father'. In this way he flung wide open the door of the kingdom of heaven and did it so effectively that about three thousand people gladly entered in -- three thousand people who had seen the difference between the Jesus of Nazareth whom men had known and Jesus, the Son of the living God who was risen from the dead. THOSE who received Peter's message at first were all Jews. Like the rest of us, Peter took some time to understand how great God is, and until he came to this realization he did not understand that there was a place for non-Jews in the kingdom, or if he knew it mentally he could not reconcile himself to its practical implications. In due course, however, God prepared him by a vision and then sent him down to the house of Cornelius to talk about what God had been doing. So he went down to a situation which in many ways was similar to what he had faced in Jerusalem, though with certain differences. Without any miracles to help him, he began to explain the way of God to them and as he started, he again used the phrase 'Jesus of Nazareth', telling how "God anointed him with the Holy Ghost and with power: who went about doing good, and healing all that were oppressed of the devil, for God was with him" (Acts 10:38). He went on to tell them how the Lord had been slain, hung on a tree, adding "Him God raised up the third day". While Peter was speaking in this way, there was a repetition of the miracle which had happened [15/16] at Pentecost. The whole company spoke with tongues, so that God could make it quite clear to the early church that this blessing which had been enjoyed at Pentecost was not just for Jews, but for all men. Later on, when Peter was put on the spot about what he had been doing, he was able to say, 'Well, God did it. That surely was quite evident. It had nothing to do with me. I merely said that Jesus of Nazareth was the Son of God risen from the dead, and then it all began to happen. It was God working in their hearts as they received my message'. So it was that the keys were used for the second time, and the door was opened. In both cases there was a similar sequence. It was announced that Jesus had risen from the dead, this was believed, those concerned spoke with tongues and were baptized as a sign of their repentance and faith acceptance of the message. All this happened because they realised that the one concerned was not just Jesus of Nazareth, but was something much more than that, Christ the Son of the living God. The further reference is most significant, for it tells us how the Lord Himself used the phrase. Talking about his conversion, Paul reported, "And I answered, Who art thou, Lord? And he said unto me, I am Jesus of Nazareth, whom thou persecutest" (Acts 22:8). This might be supposed to indicate that I am wrong in suggesting that Spirit-filled Christians do not use the title 'Jesus of Nazareth', but this will prove my point if we consider the circumstances. Saul had been travelling to persecute the followers of the Lord Jesus, and he had been stopped in his tracks, being blinded by a light from heaven. He had been thrown from his horse, and was lying blinded and bruised, halted in his purpose. It was then that he enquired who this majestic Being was, and was given the answer, "I am Jesus of Nazareth". The point is that when you realise that you are not dealing with a person who just moved around doing good deeds, when you discover that Christ is all-powerful and all-important, when you have been stopped in your tracks and brought low, then you are in a position to understand who Jesus of Nazareth is. He is not somebody whom you can look at as more or less on your level, not even a good example who is the best that the human race has ever produced. When you know He is indeed the risen Christ, then it may be safe and reasonable to know that this Lord of glory is also Jesus of Nazareth. The Emmaus disciples said "This was a prophet", but He is much more than that; He is the living, powerful Son of God who watches over our lives as He did in the case of Saul of Tarsus, prepared to stop us and bring us low before Him for our own good as well as for His glory. Such a fall will be painful to us, humbling our pride and making us realise how displeasing to God is the way we are taking, so that we can appreciate that this is not just the Jesus who is an example the Jesus of legend about whom we can sing, but the only one capable of saving us from our sins and bringing us to God. When Peter did a miracle "In the name of Jesus Christ of Nazareth" he was asked to give an explanation, and his Spirit-filled answer was "In none other is there salvation: for neither is there any other name under heaven, that is given among men, wherein we must be saved" (Acts 4:12). How important it must be, then, to keep continually in view the great difference between a human idea of Jesus of Nazareth and a true realisation that this one is the Christ, the Son of the living God. We have already observed that so far as the Church's history is concerned, there are many mysteries associated with God's refusal to deliver by means of miracles. He permitted James to be killed by Herod's sword before miraculously delivering Peter. Although Paul witnessed many acts of divine power in healing he was not able to command the recovery of Trophimus, but had to leave him behind sick, and proceed without him (2 Timothy 4:20). It is not for us to argue that there would have been greater spiritual value if Trophimus had been made well enough to journey on with Paul. Nor can we suggest that the apostle should have silenced the tempestuous wind called Euroclydon and avoided shipwreck, or that he should have walked to shore on the waters instead of taking his place with the rest, who only got to land by swimming or floating on boards or [16/17] broken pieces of the ship (Acts 27:43). God's giving or withholding of miraculous deliverances are mysteries which are not explained to us. Indeed God's real wonders can often be most unimpressive to natural judgment. It is true that He allowed His people, even women and children, to be torn to pieces in front of the mocking crowds in Roman arenas, but can we really imagine any greater wonder than that of saints facing ravenous lions with songs of praise on their lips, or giving radiant testimony to Christ in the cruel fires of the inquisition? Some of God's choicest saints have suffered physical limitation, have been invalids or cripples, with no wonderful acts of power to restore them to health, and yet have been "a wonder unto many". We are not in a position to judge what is most glorifying to God in any given situation. We do know, however, that George Matheson in his blindness, and Andrew Murray after his crippling accident, were used of God to dispense great spiritual riches which perhaps could never have been had their lives continued normally. All the world has come to thank God that John Bunyan was kept so long in prison. God's ways are mysterious -- even to the man of God. There are, though, other wonders which he ought to enquire into, for he has been specifically warned against seductive signs and false wonders which are especially calculated to deceive even the elect, if that were possible. As early as the days of the tower of Babel, God said that if men really got together nothing would be withholden from what they purposed to do. To prevent this unholy confederation, He scattered the people and confounded their languages, but even so mankind through the centuries has managed to produce many godless prodigies, even before our day. Now that distances and differences have diminished to such a degree that our modern Society is considered to be 'one world', it is not difficult for us to understand God's statement that "nothing will be withholden from them which they purpose to do" (Genesis 11:6). We now live in times when men have successfully penetrated the world of the unseen, not only by scientific achievement but also by traffic with occult, spiritual powers. As a consequence man can do great signs and wonders quite apart from God. This is no surprise to Bible-reading Christians, who have always realised that there are invisible beings, both good and evil, angels and demons. The man of God knows that it is not for nothing that the Scriptures command him not to communicate with the spirit world, and he realises, too, that the so-called spirits of the dead are in fact deceiving masqueraders of the unseen world of darkness. He does not fear them, for he is indwelt by the Spirit of the living God, but he needs no convincing that they are many and very powerful. Nominal Christian lands have been less affected by wicked spirits in the past, possibly because the atmosphere of such lands has hitherto contained enough godliness to discourage their presence, but those days seem largely to have passed now. In the congenial depravity of our permissive society they probably feel more at home and operate more freely. In any case we are told that as we approach the end of the dispensation we shall witness many false wonders and seducing signs. How shall we be able to evaluate them? How can we determine whether such wonders are from God or not? Let us deal with three considerations: (a) Christianity and magic; (b) Bible teaching on the subject; (c) the character of those involved. What is the basic difference between Christ's power and false wonders? It is that the man of God never has supernatural power at his own command, to use it as a tool for his own wishes; whereas that is just what a magician has and does. The man of God can do nothing of himself, and in this he is like the Son of God Himself. If the man of God has gifts (and every man of God has! ), he cannot employ them at will. If, for example, he has the gift of healing, this does not mean that he can heal whom he will when he will, or that he can make promises of healing. This explains Paul's behaviour and counsel in regard to Timothy (1 Timothy 5:23). If the man of God has the gift of working wonders, that does not mean that he can do a single mighty work of himself, or promise anyone else that he will do so, hence Paul's words of reassurance to the puzzled Philippians who could not understand his prolonged imprisonment (Philippians 1:12). The man of God can do nothing of himself, but only do what he sees his Lord and Saviour doing. It is quite different for the one who is not a man of God. For him nothing need be impossible; if he has contact with the spirit world nothing restrains him from using its powers. He bears allegiance to no name, he acts according to his own impulses. The most surprising thing is that [17/18] if he chooses to do so he can perform his wonders while using the name of Jesus. We might judge this impossible if our Lord had not foretold that it will actually happen (Matthew 7:22-23). The man of God knows this and is never led astray by mere words or professions, for to him 'the name of Jesus' has no meaning simply as an empty formula, but demands a total personal commitment to the Bearer of that name. The magician has never made that commitment, but uses his link with demons for his own purposes, even though he may pay some lip service to God or Christ. His activities may appear to be good, for Satan and his ministers can transform themselves into angels of light. In such cases his false wonders may include forecasting the future, healing the sick, and pretending to cast out demons. When he uses his spirit powers in this way he calls it 'white magic'. There are many today who actually claim to be 'white witches'. On the other hand he may use his occult powers for evil, distributing curses, leading into immoral practices, producing destruction in one form or another, and this is called 'black magic'. Both are common today, and in both cases it is 'magic' and not God. It is essential that the man of God settle in his mind that supernatural manifestations are not necessarily of God. They can equally be false wonders. He would be foolish indeed -- and unscriptural -- to dismiss all talk of 'magic' and 'witches' as nonsense, for this could easily lead him to imagine that all genuine wonders must therefore be divine. He must remember that there are 'seducing spirits' as well as the Holy Spirit. (b) Bible teaching on the subject. (1) The way can be thus opened to self-deception, for it becomes possible for a man to imagine that he is serving and glorifying the Lord when, in fact, he is acting out of harmony with the Word and the Spirit of God. A dreadful disillusionment awaits those who have prophesied and done wonders in the name of Jesus only to find in the end that He disowns them and declares that He had nothing to do with their great words and acts (Matthew 7:22-23). (2) Even more damage may be done by those who make claims or arouse expectations which they cannot themselves fulfil, for they can open the door for false Christs and false prophets (Matthew 24:24), by encouraging or arousing unhealthy excitement about wonders and so making simple people easy prey for any worker of the supernatural. It may be a true Christian who arouses this interest, though unable himself to satisfy it; but dealers in the occult will be quick to take advantage of the opportunity to lead men astray by offering to provide such sensations. The man of God must realise that the idea behind the word 'antichrist' is as much that of substitution as of opposition. Antichrist, the greatest satanic wonder-worker of all, will first offer himself as 'instead' of Christ, and only later be revealed as 'anti' in the sense in [which] we now use the prefix, that is 'against' Christ. John tells us that "even now there are many antichrists" (1 John 2:18). Such a warning will make the man of God sensitive to the indwelling Spirit, to be sure that nothing and nobody can ever take the place of Christ. (c) The character of those involved. The Bible teaches us that in order to evaluate the true nature of signs and wonders, one must first assess the character of the one by whom they are effected -- "By their fruits ye shall know them" (Matthew 7:15-20). The man of God does not make it his business to criticise the lives of fellow believers, but he knows that he is warned not to accept as teachers those who do not show the reality of their message in their own lives. An ordinary Christian may rightly resent as unnecessary or unkind too close a scrutiny into his behaviour or private life. A teacher or one who professes to work miracles, however, must expect to have this Scriptural test applied to his life. Christ commanded that it should be so applied. Wonders are by no means limited to the gospel. Anyone who is travelled or informed enough to know how non-Christian nations live, is aware that all kinds of miraculous signs and wonders can be found among such peoples, even though [18/19] those who perform them are far from Christ. What cannot be found anywhere apart from the gospel, however, is likeness to Christ expressed in practical manifestations of the fruit of the Spirit. The man of God cannot judge whether a miracle is from God or not just by seeing it, still less by hearing about it from others. He may read or hear reports of wonders, but they can have no real significance to him unless he has some personal awareness of the daily life and character, as well as the teaching, of the miracle-worker. It is by the Spirit's fruit, and not by supernatural signs, that a man is shown to be a true servant of Christ. If, therefore, he finds in the one concerned faithfulness, humility, honesty, modesty and quiet holiness, then he can be re-assured about the wonders, and can praise God for them. If, though, he finds arrogance, greed, self-assertion, strife, unkindness or lack of transparent honesty then he cannot accept the teaching, even though it is accompanied by startling miracles. Let it be said again, this is not a question of judging a fellow-Christian, but of applying Christ's own test to a professed worker of wonders. We are moving into a period of confusion and deception. The end of this dispensation is near. Israel is one sign of this fact but there are others and among them is increased deception. Somewhere, somehow, we may expect soon to see in expression a worldwide 'church' which will prove in the end to have been a counterfeit. The man of God should never be led astray by groupings and associations claiming to be of God because they are sharing some form of wonderful experience. The fellowship of the body of Christ is not based on any such outward manifestations, but always and only on the new birth. The ground of unity in that body is the shared life of Christ. The only foundation for the true Church is Jesus Christ Himself, and the only fellowship of the Spirit is that which springs from submission to Christ's absolute lordship. We must not be seduced by false wonders, but we have every reason to rejoice that over and against what is empty and unreal, God is doing a true work of uniting men to Christ by new birth and making them into men of God. This work, more often than not, takes place in hidden and quiet ways, but in it God Himself has the initiative and He has its threads in His own hands. When it is finished and complete the whole world will be able to see God's glory shining forth from the one new Man. This will be God's crowning wonder. An alternative Latin word for high priest is 'Pontifex', which means 'bridge-maker'. This is fully in accordance with the Scriptural idea of priesthood, which is the function of facilitating free interchange between God and man (Leviticus 9:21-22). Christ is the perfect bridge-maker, indeed He is Himself the bridge, and that is why He is called our great High Priest (Hebrews 10:21-22). It required two Old Testament types to give the full representation of this holy function, so we have both Aaron and Melchizedek. The Levitical priesthood, with Aaron as its high priest, was entrusted with the task of dealing with the great obstacle to fellowship between God and man, which is man's sinfulness and sin. To do this the high priest had to be constantly occupied with sacrifices as well as intercessions, for only by blood offerings could reconciliation be effected between a holy God and an unholy people (Hebrews 2:17). Christ has accomplished this aspect of high priestly work so satisfactorily that there is no further need of an offering for sin (Hebrews 10:19), and no possible condemnation for the believer for whom He intercedes (Romans 8:34). No man is expected to put away his own sin, nor even to promise to do so. No believer need remain at a distance from God because of personal failure. By His high priestly sacrificial work, the Lord Jesus has both satisfied the wrath of God and obtained full favour for all those who accept His ministrations. So it is that He not only acts as our Representative before God but actually introduces us into His holy presence and personally assures us of a welcome there. If ever His sacrifice lost its power we would at once drop from that presence into the darkest hell, but we [19/20] have no need to fear, for by His own blood our great High Priest has obtained eternal redemption for us (Hebrews 9:12). There is also another order of priesthood, the order of Melchizedek. This priesthood would have been just as valid if man had never sinned, and it will still be relevant when sin and condemnation no longer exist. For in any case we need a bridge to span the gap between God and us. Even without the abyss of sin there is still a distance between man and his Creator, hence the demand for the bridging function of Christ's High Priesthood to continue beyond time into eternity. Even the forgiven man needs guidance and support from God and, more than ever, he wishes to come closer to God and offer gifts of love to Him. Christ meets this need perfectly, and will do so eternally (Hebrews 7:24), mediating God's love and care to us and our worship and love back to God. He has been especially chosen by the Father for this bridging work (Hebrews 7:21) and in the energy of His resurrection life He will use His High Priestly power to bring us to the fullest possible experience of salvation (Hebrews 7:25). Let us keep coming unto God by Him. When I was a boy I was fortunate enough to have a grandfather who was very clever at making models. One Christmas he made me a large, working model of a tank, and another year he made me a model submarine which actually fired torpedoes and shells. For many nights afterwards I found it difficult to get to sleep, and I kept looking over the side of the bed to make sure that my presents were still there. At least my grandfather had the satisfaction of knowing that I really appreciated his loving gifts and the skilful work which he had put into them. But what shall I say about the very strange story which I heard the other day and which concerned a lady who had recently died and was found never to have opened all the gifts which she had received since the day of her wedding? Her executors found all the parcels, still wrapped up in their original paper and stored away. She had never even opened them to look at the contents, let alone put them into use. It was a sad collection, calculated to cause real regret to the original donors if they ever heard what had happened to their gifts. Gifts are meant to be appreciated and also to be put into use. First of all, though, they have to be given, and no doubt you have found pleasure in making gifts as well as in receiving them. It is especially good when you see your friends enjoying and using your presents. Recently, though, I bought a present for a friend and am glad to say that he has not yet made any use of it. Moreover I hope that he never will. I feel certain that he shares my hope, though I can assure you that he is far from ungrateful. The truth is that my present was a fire extinguisher. My friend and his family live in a wooden house in the country, and when I visited them I realised how important it was that they should be protected against fire. That is why I made this unusual gift which they never want to use. Now both of these cases show us how not to regard God's free gift of salvation. It is not to be thought of as a kind of fire extinguisher, only to be turned to in our last desperation. It is true, of course, that salvation is meant to deliver us from destruction and if we receive the Lord Jesus we need never fear a lost eternity, but it is much more than that. God's gift of eternal life through Jesus Christ is not just an ornament or a precaution but an inward power to meet our every need. This brings me to the strange case of the lady who never opened her presents. Had she no needs? Was she so well off that she could do without others? Was she perhaps suspicious? Did she fear to open the parcels and enjoy the good things which they contained? Or was she careless, always meaning to open them at some later date, but never doing so? In any case her story was a sad one, and we can only regret how much she must have missed. OF HIS SON JESUS CHRIST OUR LORD."